So it was time to grout. The tiles are a little hazy, but I can easily clean that up tomorrow. I will also be working on the shower tomorrow. I will let you in on a little secret I did that saved me a lot of time and questions... I took all the measurements of the room... VERY precise measurements. So the longest wall was going to be my starting point. It was 105.75" long. So I opened up Microsoft Paint... I made a line perfectly straight for 1057 pixels. I kept mapping out the room, including the toilet drain and heating vent. So now the room is to scale. 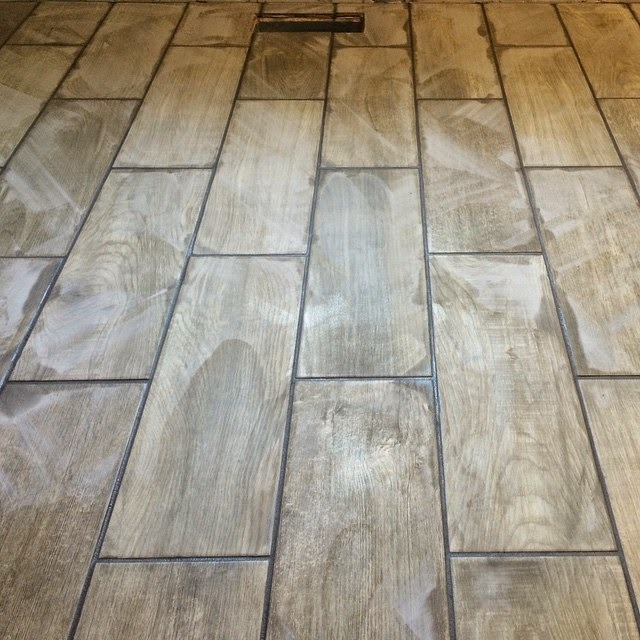 I opened up another Paint document and took the tile image from the Menards website. 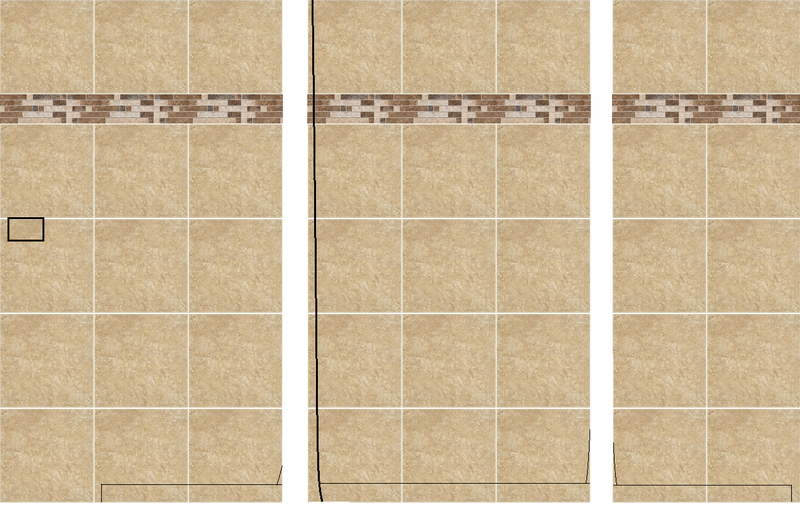 I kept copying the image and made that perfectly to scale according to the pixels and now I was able to overlay the floor plan to the tiles. 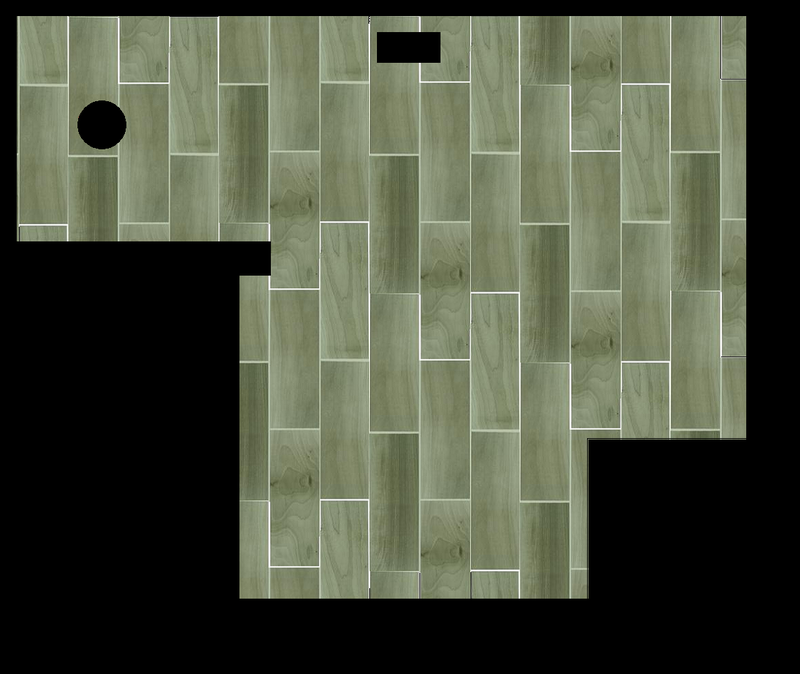 That way I could move the floor plan around and figure out what would be the least tile cuts possible layout. And it worked GREAT! I could have cut the tiles from the floor diagram I made. The room was square, which helped. I started doing the same thing for the shower tonight. I am off the next couple days so I will be tackling the shower The bottom flares in a little, so I have to cut a couple of the lower joining places to make it fit like a glove. I will be putting a board up for the second row of the tiles to do first. I should be able to fly up the wall then spend then following day to do the specialized cuts along the bottom. 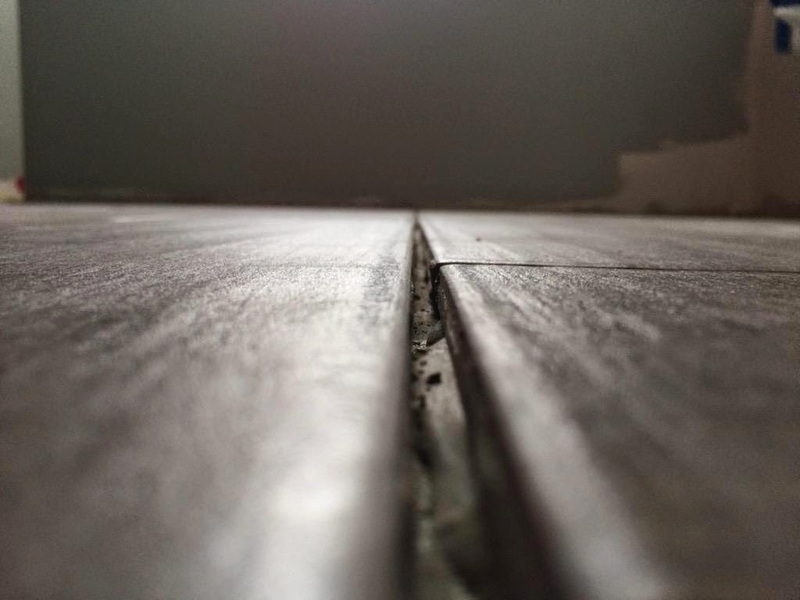 Some may think it is a waste of time, but when it comes time to getting the job done, I will have no questions about where I should cut when I am in the middle of the project. Get ready for a wet week, so keep the umbrella or rain jacket ready. Showers likely tonight on and off with temperatures staying mild. 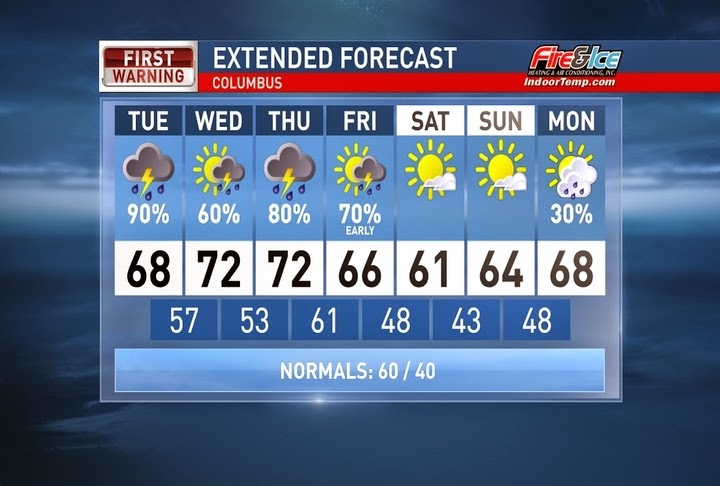 Showers and thunderstorms for Tuesday as our temperatures continue to warm. Some strong storms are possible Tuesday night and also Wednesday night. Rain wraps up midday Friday and we dry out and cool off for the weekend. Have a good one!